Imperial strategies driving these proxies are also similar. Whereas the West created and supports ISIS/al Qaeda, it presents them as “enemies”. The terrorists serve as fake humanitarian pretexts for invasions even as they serve as proxies to destroy target countries even before the invasions and the economic warfare are firmly established. Imperialists always need scapegoats, and the Western-supported terrorists also serve this function. Governing agencies fabricate Islamophobia by presenting the “Muslim” terrorists as enemies even when these terrorist behaviours are far removed from Islamic teachings. The so-called “Caliphate Project”is a CIA project. NATO and its allies support the terrorists in Syria who are carving out territory in resource rich, strategic areas of Syria. All of this has been proven beyond a reasonable doubt for years despite the widespread ignorance of Western populations who are trained to accept CNN and Defense Department messaging as the truth. NATO and its allies use the Western-empowered and supported neo-Nazisin Kiev, rotten fruits of the 2014 Western coup against the legitimate Ukrainian government, in a similar fashion. In this case, Russia is the scapegoat, even though the coup preceded Russian involvement that opposes the Western crime scene near its borders. So, like the CIA Caliphate Project, the Reconquista project advances imperial designs against Russia, Empire’s real target. Empire’s end-game is world conquest, a New World Order of fascist totalitarianism. Those controlling the levers of power must deceive domestic populations because the impoverishing “project” is toxic to Life itself. No reasonable, critically-thinking population would ever accept it. A first step to countering this world-encompassing disease would be a NATO Exitcampaign. NATO is the deceptive umbrella under which these diabolical machinations are thriving. Garikai Chengu,“America Created Al-Qaeda and the ISIS Terror Group.” Global Research, 19 September 2014, March 08, 2019, (https://www.globalresearch.ca/america-created-al-qaeda-and-the-isis-terror-group/5402881?fbclid=IwAR0ery1aV8nuqqkTYvjoUJvVJ2cpFX2AGURrd164p4cHkjA2SL08ly4Kar8) Accessed 7 April, 2019. 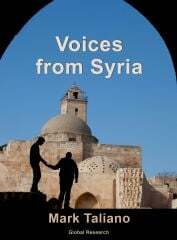 Washington’s Blog, “The Caliphate Project, Made in America. Declassified U.S. Government Documents Confirm the US Supported the Creation of ISIS.” The Caliphate Project, Made in America. 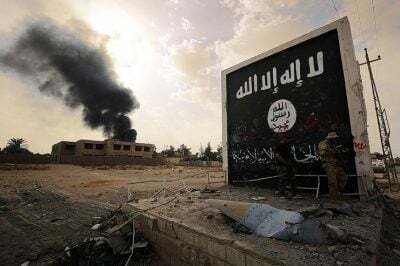 Declassified U.S. Government Documents Confirm the US Supported the Creation of ISIS.” Washington’s Blog 24 May 2015, Global Research, 13 March, 2016, (https://www.globalresearch.ca/newly-declassified-u-s-government-documents-the-west-supported-the-creation-of-isis/5451640) Accessed 7 April, 2019. 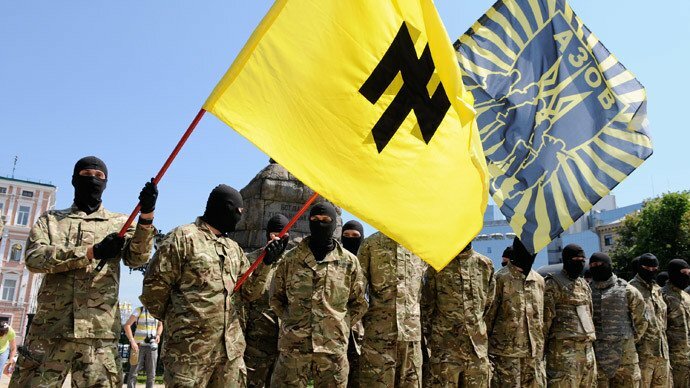 Max Blumenthal,” Israel Is Arming Ukraine’s Blatantly Neo-Nazi Militia the Azov Battalion.” The Real News Network, 6 July, 2018, (https://therealnews.com/stories/israel-is-arming-ukraines-blatantly-neo-nazi-militia-the-azov-battalion?fbclid=IwAR1VcIFf0-5min_36EuVUiEMaYg0XUCkGqonc-Nh4y_iKf-Su0RruVG2GoM) Accessed 7 April, 2019. Max Blumenthal, “The US is Arming and Assisting Neo-Nazis in Ukraine, While Congress Debates Prohibition.” 18 January, 2018, The Real News Network, (https://therealnews.com/columns/the-us-is-arming-and-assisting-neo-nazis-in-ukraine-while-congress-debates-prohibition) Accessed 7 April, 2018. Prof. Michel Chossudovsky, “NATO-Exit: Dismantle NATO, Close Down 800 US Military Bases, Prosecute the War Criminals.” Global Research, 04 April, 2019, (https://www.globalresearch.ca/nato-exit-dismantle-nato-close-down-800-us-military-bases-prosecute-the-war-criminals/5670610) Accessed 07 April, 2019.